Scaale is a group which is dedicated to implement solutions for the growth of companies through sales, talent and capital. Also, it works with public and private institutions which supports start-up and the SMB’s. It has real time knowledge of how to enter into new markets. Scaale a VC headquartered in four of the key markets in San Fransisco, Mumbai, Barcelona and London. Scaale is launching India’s first Global start-up event in Goa this year at The Leela Goa resort. 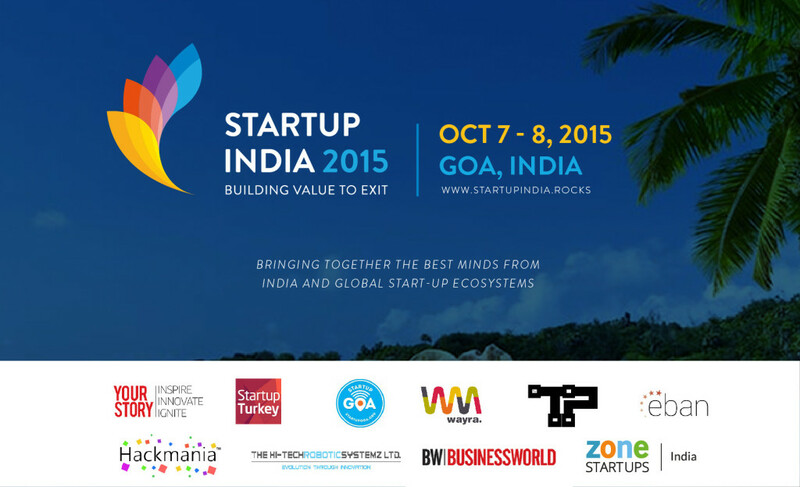 On 7th and 8th October 2015 Startup India Rocks, Goa is scheduled. The event is beautifully arranged for two days and its first of its kind where the best start-up thinkers in the world will come down to Goa to connect with some of the best minds in India. The event will present to the world the magic of Indian modernization and entrepreneurship. The platform is a laudation of the growing Indian entrepreneurial spirit to reach out to the world! The event will have contribution from some of India’s best Entrepreneurs, CXOs, VCs and Angels appealing energetically with stakeholders from start-up ecosystems throughout the world together with Singapore, London, Berlin, Istanbul, Helsinki, Estonia , Silicon Valley and more. Most famous Venture capitalist Candice Johnson, President of EBAN & Europe is the key speaker of the event. A maximum of 60 most pioneering and worthy startups would have an opportunity to pitch for investment. Next 30 best startups would be offered a space for exclusive product launch. They would offer a space for your company logo on their website starting September 1 until the end of the event. In addition to that, a brief on your company would be shared with the list of Investors/CXOs participating at Startup India Rocks, Goa and the logo will be a fraction of most of their marketing communications. 8AM-9AM – Registrations for Startup India Rocks Goa Edition with allocation of seats. 9.30AM – 9.45AM – Opening Keynote by Scaale Group Chairman Mr. Kaushal Chokshi. 9.45AM – 10.15AM – Keynote by EBAN President Candace Johnson. 10.30AM-12PM – There will be elevator Pitch A, B and C which covers various business events. 12PM-1.30PM – Series A to Z which is a conversation over coffee with the entrepreneurs looking for understanding the multiple facets of initiation and raising growth capital. The event ill be discussed on various themes such as An Investor’s viewpoint and Importance of Scientific evaluation amongst other topics. Startup2Startup – An idea which is well-suited for youthful business visionaries, particularly from the rising economies that need to take after the finest practices from the Silicon Valley. It is an advancing stage for business visionaries to comprehend the subtleties of building a fruitful business from the viewpoints of all partners. Later introduction to Angel investing which is mainly for the investors. 3PM – 4.30PM – Strategic Rendezvous which will have conversation over coffee with entrepreneurs who are looking to go global through the capital, talent and sales. The event’s agenda is to facilitate entrepreneurs to become micro-multinationals and have a global outlook right from beginning of the business. 7.00 PM onwards – Evening with fun and also will be hosting other events for that sot. 9AM – 10.30AM – Corporate insights for CxO’s and interacting Investors. 6.30PM onwards – Sun downer and after party, an evening to discover the local Goan style Music, banquet & Cocktails. Scaale encourage you to take part in this event and take the chance to network with the global stakeholders of the Start-up eco-system.